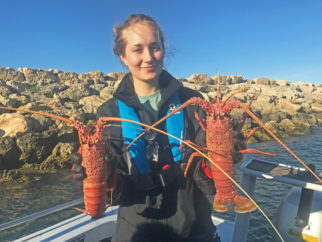 The Minister for Fisheries recently announced that new plans are in the pipeline for the management of the state’s Western Rock Lobster Fishery aimed at returning more benefits to the WA community. Many recreational fishers have asked what this will mean for their fishing experience. While the details are yet to be determined, the Minister has stated the plans will explore growing the value of rock lobster and improving the future economic contribution of this resource. While the Ministers media release stated “These discussions will not impact upon arrangements for recreational lobster fishing” Recfishwest need to be a part of these discussions to ensure any plans to unlock additional value from this fishery do not adversely impact on recreational fishing experiences. Value from a fishery comes in many forms, but the well understood values include economic, social and cultural values. For the recreational sector, cray fishing in WA has never been better. Cray stocks are growing and more recreational fishers are participating than ever before with over 55,000 Western Australians holding a license to catch crays last year. It is huge part of our WA lifestyle with thousands of families sharing the experiences of catching and enjoying this amazing seafood each year. Regardless of how well the fishery is currently being managed things can always be done better and Recfishwest welcomes the Ministers announcement to return more benefits to the WA community from our crayfish. Recfishwest and the recreational fishing community in WA care deeply about our precious rock lobster stocks. Stay tuned, we will keep you up to date with any news in this space.